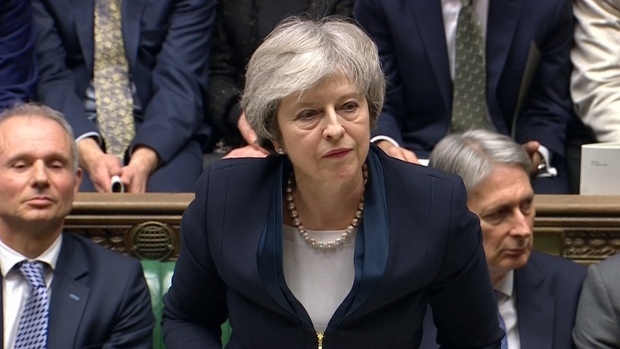 Britain's Prime Minister Theresa May stands to speak to lawmakers in the House of Commons, London, Friday March 29, 2019. 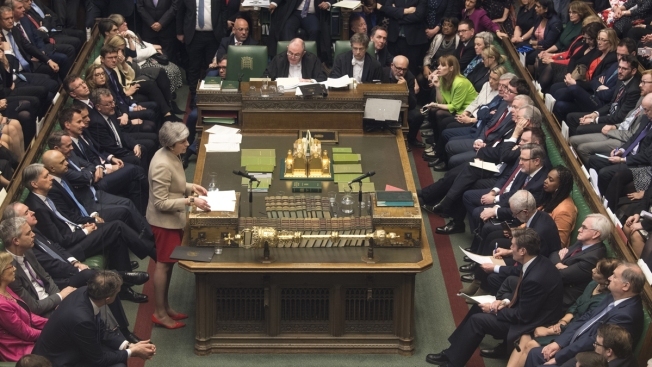 U.K. lawmakers on Friday rejected the government's Brexit divorce deal with the European Union for a third time, but Parliament will get a chance Monday, April 1, to vote on Brexit alternatives. 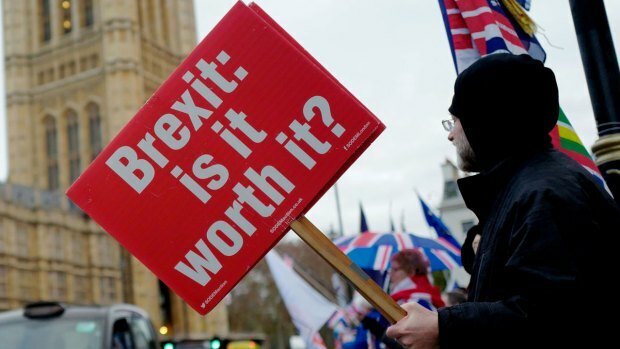 Britain's Parliament has spoken — and it has said no, again. 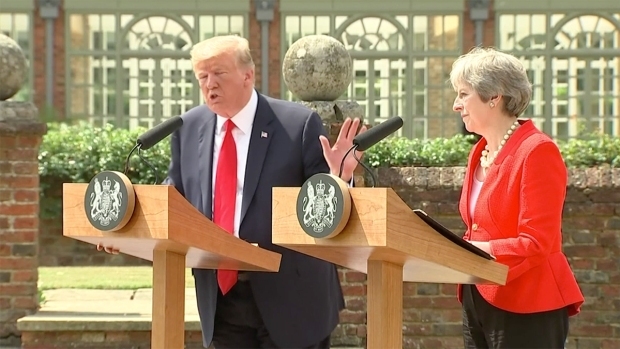 Associated Press writers Gregory Katz in London and Geir Moulson in Berlin contributed.